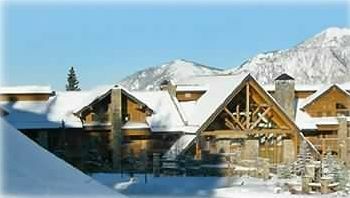 (License #559) Bear Creek Lodge is one of the finest ski in-out properties in Telluride Mountain Village. Located in the Bear Creek Lodge our 1,300 square foot two bedroom luxury condo was recently renovated and provides spacious and very comfortable living areas, with a fireplace and incredible views of the San Juan Mountains. Conveniently located on the mountain, the Bear Creek Lodge has a dedicated elevator system providing ski-in and out access to the ski mountain. The Lodge is also close to Telluride's gondola system which provides access to Telluride shopping, restaurants, nightlife, and other activities, including the main office facility for the Ski Resort (ticketing, lessons, kids programs), and the Telluride Golf Course (summer and fall), the Golden Door Spa all located in Mountain Village. The Bear Creek Lodge also provides free daily/evening shuttle transportation to the Gondola system that provide yet another way to access the slopes, and the core activity areas of Telluride and Mountain Village. Car transportation is not necessary as Lodge and Gondola provide access to ski area and town. Should you have a car there is free outdoor parking at the Lodge. Our spacious, newly renovated condo has substantial room to provide you all the amenities of home, including a full size gourmet kitchen, living room with flat screen SMART TVs, DVD, and VCR, dining room, two full-size, well appointed bathrooms, a master bedroom with a mounted flat-screen TV, as well as new Whirlpool Duet front load washer and dryer in the condo for extra convenience. The Lodge amenities include a heated swimming pool, indoor and outdoor spas, a large communal gas fire pit and barbecue area, fitness facility with steam and sauna rooms, and recently renovated (lobby) great room with a large, stone fireplace and comfortable seating that provide the perfect ending to a day of winter and summer activities ( world-class skiing, cross-country skiing, sledding, ice skating, snowshoeing, and snowmobiling, mountain biking, jeep tours, rafting, tubing, horseback riding, fly fishing,trampoline, obstacle course, frisbee golf, and more). Condo has 4 bath robes for guests use during their stay. Telluride is a year-round family resort experience - visitors come for the skiing but stay for the summers: fantastic weather, world-famous film, food, wine, micro-brew and fantastic music festivals, mountain and road biking, hiking, running and walking trails, jeep tours, rafting and tubing, world-class golf, fly-fishing, wild flowers along with great restaurants and shopping! NOTE: 2015 TELLURIDE FLM FESTIVAL THE CONDO CAN BE RENTED FOR $250/NIGHT AS A ONE BEDROOM, ONE BATH (SLEEPS FOUR WITH SOFA BED); INCLUDES KITCHEN, LIVING AND DINING ROOM SPACES. TWIN BEDS CAN BE CONVERTED TO KING BED. Telluride (Montrose Regional Airport): non-stop flights available from Atlanta, Chicago, Dallas, Houston, Los Angeles, Phoenix, and Newark (New Jersey). 2 full bathrooms that were recently renovated. Master has large shower area with rain shower head. Second bath near guest bath has marble tile, full shower and bath with spa jets. Historic downtown Telluride is only a 15 minute gondola ride (very fun and social) away. Shopping, restaurants and nightlife all around this beautiful town. Mountain Village is the center of ski resort operations including tickets, ski school and rentals, as wells as restaurants and other activities. For local calls only. Long distance is the responsibility of guest. Bear Creek Lodge has free WIFI Internet access which is also available in our unit. Full size gas cook top. (3) Smart tvs in all rooms. Pool area has large open deck space for relaxing after days' activities. The Telluride Golf Club is a 18-hole championship course with awesome mountain view. Fitness room in Lodge includes cardio and weight machines and sauna and steam rooms. Massage and other therapies available. New Wall to Wall Carpeting, Queen bed, Twin beds w/King bed Option, Phone & fax, WIFI Internet access, Flat-Screen TVs, DVD/VCR, Cooking Utensils, Linens, and Jetted Bath, Incredible Views of the San Juan Mountains, No Pets, Common Area Includes a Very Friendly Front Desk Staff, Large Lodge Lobby with Stone Fireplace, Coffee and Tea, and Comfortable Seating, Ski Valet Service, Swimming Pool, Indoor and Outdoor Spas, Sauna and Steam Rooms, and Business Center, Ski In-out Lift, Free Van Shuttle Service to Town's Gondola Systems, Free Outdoor Parking, Valet Indoor Parking, Large Fire Pit and Two Gas Grills in Lodge Barbecue area. Four Bath Robes in Condo for use during time at Condo. Stayed eight days with two kids (4 & 7). Small details like having air humidifiers throughout home were great. Great value compared to other properties in Big Creek Lodge. Funicular was down for the lodge when we visited. However, shuttle was efficient and I doubt we would have used it much. Would stay here again. Thank you for your review and glad to hear you enjoyed your stay. Please come back in the future. Walter offers a fantastic property for hire, which is large, well appointed, convenient and comfortable in all seasons! Thanks for a great stay Walter. The staff was tremendously helpful for us and our wheelchair-riding member. Every time we had a minor challenge they were ready with a solution. Property was beautiful and easily traversed. Staff beat us to solutions before we asked. Owner was the same. After a very frustrating experience on our last “vacation” this was a superb staff and place to go. The condo was beautiful, well taken care of and was very well stocked in all the ways that we needed. The aspens were undergoing their beautiful fall transition to a winter landscape. The owner was quick to respond to our questions throughout our experience. This was a perfect place and we will definitely the stay here again in the future. You cannot go wrong using the property. To steal a quote from tv years ago, “Book ‘em, Danno !!! Very spacious and great location. NOTE THE ABOVE RATES ARE INDICATIONS ONLY - PLEASE EMAIL TELLCONDO@YAHOO.COM or call 619 990 4530 for rate quote. NOTE NOT ALL OF WINTER IS HOLIDAY RATE - Winter rates per night range from $400.00 to $650.00 depending on time period. Summer and Fall rates per night are $300.00 to $350.00. PLEASE NOTE: At the time of reservation we ask for $400 security deposit and 25% of rental and the balance due 45 days out. If you cancel less than 60 days before first day of rental you will lose the 25% first payment. If you cancel in a period 45 days or less of the start date then 100% of the rental plus the taxes will be forfeited (but not the $400 deposit). Lodging and sales taxes equal 12.4%. Please call if any questions.